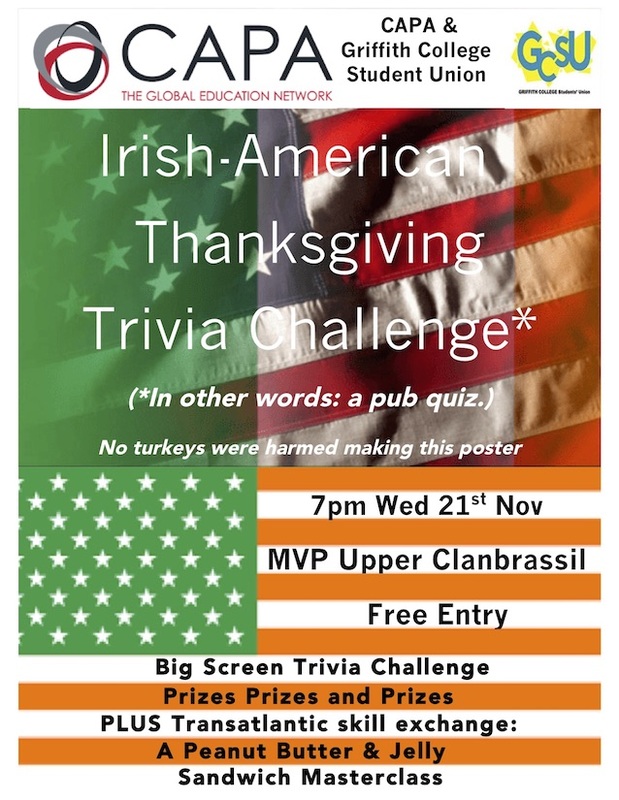 CAPA and the Griffith College Student Union are thrilled to announce an Irish-American Thanksgiving Trivia Challenge (in other words, a pub quiz) to be held the night before Thanksgiving, Wednesday 21st November, at MVP on Upper Clanbrassil Street. Come along and show off your knowledge, make some new transatlantic friends, and even take a masterclass in preparing the American delicacy known as a peanut butter & jelly sandwich (PB&J, to those in the know). Entry is free and it promises to be a great evening!